I didn’t have any form of doubt picking Leawo iOS Data Recovery for today’s giveaway ‘cos it is one and only trusted software out there that’s best known for what it actually does. No doubt, iOS is one of the world’s foremost mobile operating system powering many of our day to day devices, you will be wowed at the many features that comes with Leawo iOS data recovery software. 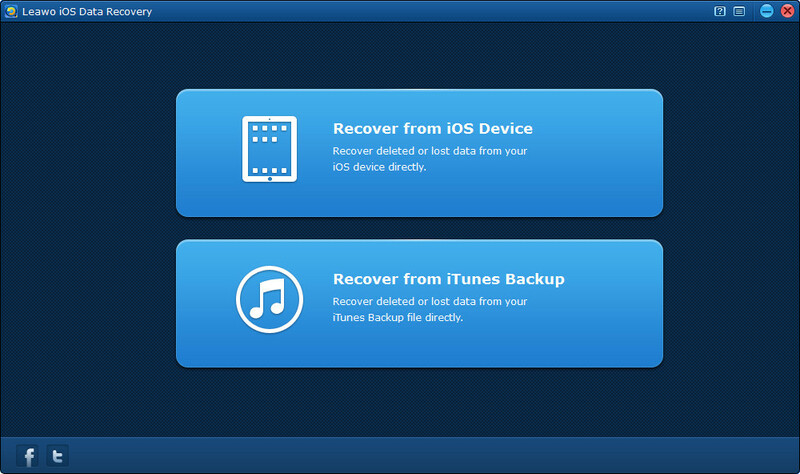 Why Leawo iOS Data Recovery? What is the system requirements and who needs that? It will be unfair announcing the giveaway without telling of the many convincing reasons you need have this software. In a spotlight, I will highlight some of the chief uses of this app. Every iOS powered devices owner needs this data recovery solution, it will also come handy for anyone trying to transfer data from older devices to a newer one. You can also use it for regular backup purposes, just like we do with the official iTunes software. Leawo iOS data recovery is very light weight and so doesn’t need much of your system resources to function, below is the minimum system requirements. There are only limited licenses to be given away, so you are required to participate in the following easy to do activities below to stand a chance to be picked among one of our 5 lucky winners of this excellent software normally valued at $60. This Leawo iOS data recovery giveaway was funded by Wilson Lee from Leawo Software. The owners of Leawo iOS Data Recovery and other similar products. You can contact him via twitter: @Leawo_Software or the facebook page. That is cool, i didn’t know they had services like this..